I have been using a lot of Washi tape with my art journal planner and consequently have been getting totally bored with my collection! I figured it was time to make some of my own. I decided to use some handpainted deli and tracing paper that I had left over from projects and also a few book pages as they’re on the thin side like regular Washi tape. Pictured above on the right is also a piece of wrapping paper that I have used for DIY Washi tape in the past. 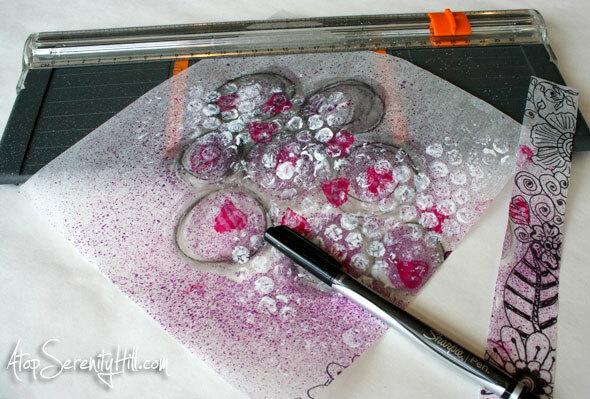 I cut strips from the tracing paper and added some quick doodles with a Sharpie pen. All of my strips are between 1 1/4″ and 1 3/8″ wide. 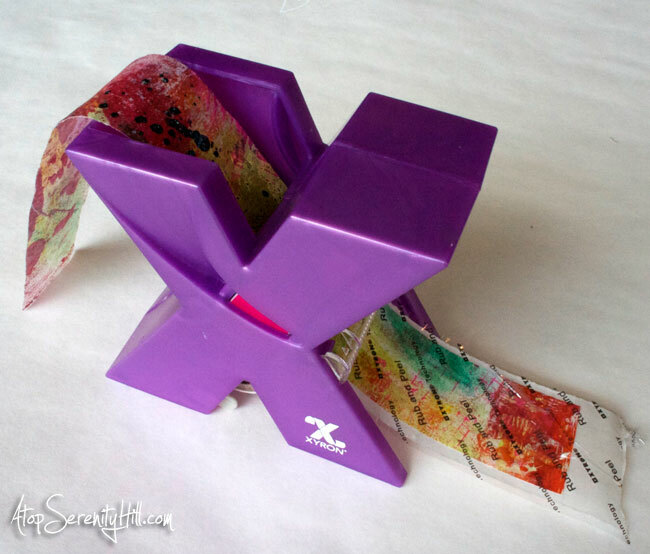 That size is perfect for sliding into one of my favorite tools, a Xyron sticker maker ! 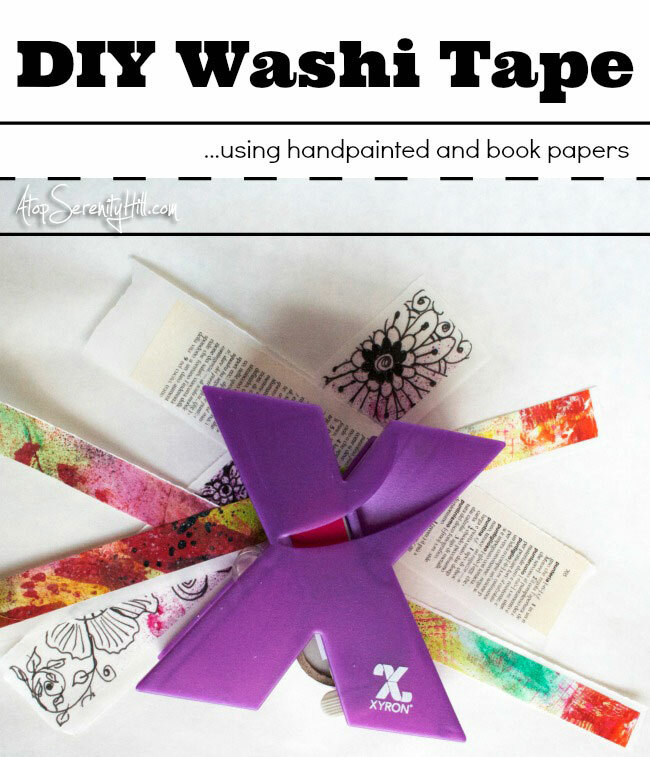 The Xyron adds a thin layer of adhesive to the back of the paper allowing you to create tons of DIY Washi tape in all colors and lengths. 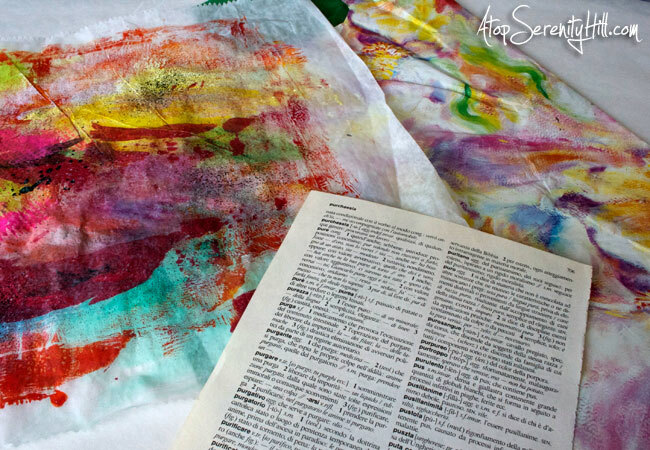 Quick Tip: go slowly when you are guiding very thin paper like the deli paper into the Xyron. If not it can slide sideways quickly and crinkle up. Once you have your new tape out of the Xyron , rub it down with the edge of a credit card and then peel back the top layer. 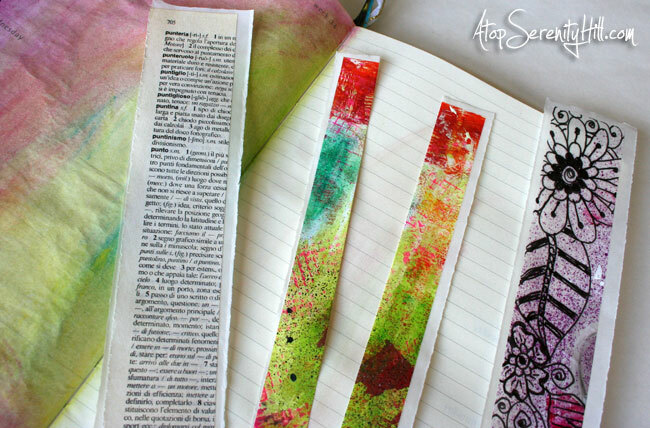 I then cut my tape in half since most of the Washi tape I use is between 3/4″ and 5/8″. 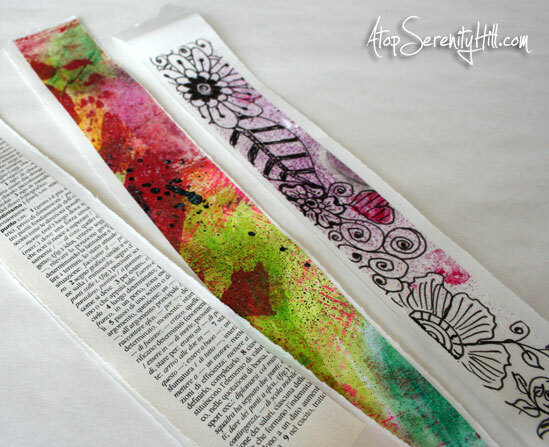 I absolutely love that I can make my own completely unique tape for my art journal. I don’t think I’ll ever be bored again! Definitely more creative than the ready-made. You could match anything! What a great idea! As you say, it’s so easy to become bored with the tapes you have. This way each strip you use can be different.